As the technological advancements try to ascend its galvanizing peaks every year, the soul of every electronic entity still remains the same- Battery. Indispensable to its core, batteries have made a profound impact on our lives and its functioning. Be it a smartphone, tablet, laptop or any other electronic gadget, they are used in almost every device for our regular endeavors. When we delve deep into the types of batteries, the name of Lithium-Ion (Li-ion) battery crops up instantly. Widely popular for their ease of handling and compact size, their immense charge absorption capacities and low discharging properties make them even more relevant in the world of batteries. Apparently, the lead-acid batteries have been cast aside in favor of Li-ion batteries. And deservedly so, in modern times, the Li-ion batteries have been the go-to rechargeable batteries in the mainstream market. However, the scenario is rapidly changing. Let’s find out why? Today, in every field, our dependency on gadgets is soaring to invariable proportions. From working in advanced designing software to menial attendance record, everything is done on laptops and smartphones. The Li-ion batteries we use today are certainly good. With that being said, we need batteries for our tools and gadgets which can work without frequent charging. For large equipments like inverters and vehicles, they work at their optimum capacity. But, for small electronics like smartphones and smartwatches, there is a penchant to get away with recurrent charging. The major downside to such batteries is their dwindling efficiency in a year or two after a prolonged use. As visible in the case of smartphones, their efficacy tumbles down to more than 50% in many cases. Additionally, the Li-ion uses a flammable electrolyte which aggravates security concerns. For large capacities, we require batteries with bigger size keeping in mind the dimensions of your phone. Fortunately, the advent of these new generation batteries is something we can look forward to, for more efficient and superiorly designed products. Batteries are a tremendous enhancement over the Li-ion batteries. Their most distinctive feature is to draw oxygen from the atmosphere, which moves in the electrolyte towards the positive electrode. This leads to a chemical reaction, which results in the discharge of energy. ‘’As the oxygen doesn’t need to be stored within the battery, it doesn’t contribute to the overall weight of the cell,” Dr. Kerr said. 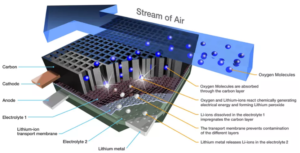 Scope and limitations: Brimming with huge potential, Li-Air technology offers bright future in the realm of batteries. Researchers from the universities of Moscow and Deakin have worked on its internal chemical reactions to increase the oxygen intake. Without increasing the size, they aim to make this technology a reality for smartphones and automobiles. The only limitation is that the carbon electrodes of these batteries become unreactive after a few cycles. 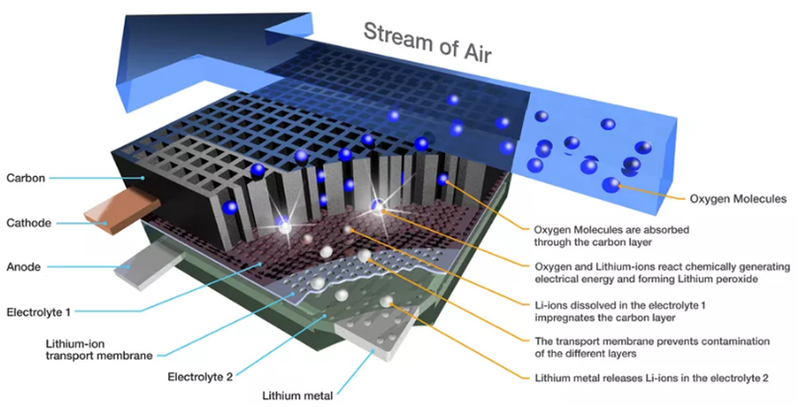 There are nearly 2,000 plus patent applications already filed for the Li-air battery technology. 2. Solid state electrolyte Batteries: A risk often opens the Pandora box for a number of Possibilities for mitigation. The inflammable liquid electrolytes in the Li-ion batteries have the propensity to explode. To overcome this safety hazard, a solid-state electrolyte comes to the rescue. 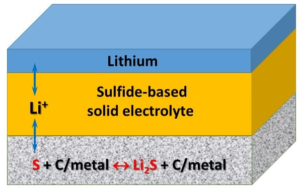 Sulfide-based solid electrolytes are currently being tested for their use in batteries. Scope and limitations: Scientists at the MIT University have worked on this technology to make it possible for smartphones and electric cars. Its energy storage capacity is much higher (approximately 3 times high) in comparison to the liquid electrolyte. Further, the conductivity is higher for these batteries as ions move faster in the solid state. The prototype build demonstrated that it can recycle 250 times while maintaining 70% of its original properties. This battery type does have some technological constraints. Mechanical stresses can occur in the form of cracks due to the shape change when ions move in the crystal structure. Industrial use: Toyota was the first company to use solid-state batteries for automobile use. There are about 5,000 patents filed on this technology so far. 3. 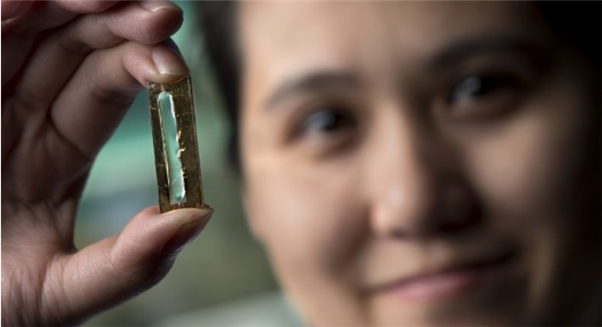 Gold built Nanowire batteries: A kind of an accidental discovery, Gold nanowire battery has been proven to be of great use. This technology uses a gold nanowire coated with metal oxide like manganese oxide with a gel-type electrolyte. Gold nanowire batteries can go through 200,000 repeated cycles and still retain 90-95% of original efficiency in comparison to a few 100 cycles of to Li-ion. They possess high charge retaining capacity and do not degrade or wear out even after prolonged usage. Its hyper conductivity enables the ions to travel at a very fast rate. Even with its enormous potential to replace the entire the entire Li-ion batteries in the future, the availability and cost of gold pose a major deterrence to its feasibility. Having said that, researchers are experimenting with other transition metals like Nickel and Cobalt as the viable alternatives. 4. 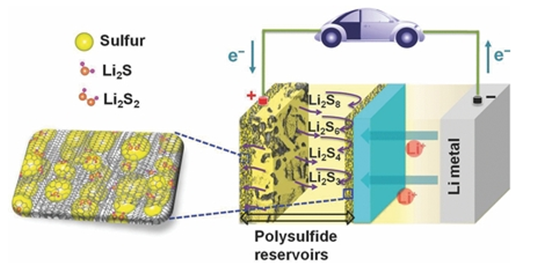 Lithium Sulphur (Li-S) technology: A rechargeable battery with high specific energy. Lithium-sulphur batteries are renowned for its cost-effectiveness. Currently, Oxis Energy Limited is the key tech player working progressively for commercializing such technology. Scope and limitations: Along with less weight and high charge density, Li-S also carries almost double the charge to its traditional counterpart Li-ion. Using flash point electrodes, Oxis Energy intends to provide safe, superior and thermally stable batteries. Primarily for its application in smartphones and automobiles, they are also collaborating with NASA to develop this technology for use in space aircrafts and airbuses. It is no brainer that the workload on gadgets is increasing tremendously. Our computer chips keep getting smoother and quicker, with data rates mounting up. Yet, at the end of our day, or worse, halfway into the afternoon- the power meters on our gadgets inevitably change to the dismal red. The world would be such a better place if the batteries of our smartphones, cars and every other gadget didn’t fail so badly. These mind boggling inventions will ensure that it will be a thing of past very soon.